“Threads and Shadows” weaves a deconstructed dance mash-up of astonishing power. Threads and Shadows is a collaborative dance mash-up that takes Alexandra Warren’s ‘Slaying Ghosts’ and Sarah Council’s ‘A History of Dirt’ and deconstructs them before weaving them back together as a diverse whole. The two works, though created by two artists of different cultural backgrounds working in separate cities, explore similar themes. ‘Dirt’ considers how the past affects the present and investigates the body as a keeper of histories. ‘Ghosts’ explores breaking cycles and disrupting the stigma of getting help during emotional or psychological crisis. As Threads unfolds, the audience will be invited to travel with the performers as the dance emerges throughout the space. ‘Threads and Shadows’ features original music by Ronald Keith Parks, Mike Wall and Nicholas Rich and will include performances by Jenn Jones, Emmanuel Malette, Milanda McGinnis, Claire Nagy-Kato, Hannah Nichols, Dylan Reddish, Amanda Rentschler and Samantha Salvato. Alexandra Joye Warren is the Founding Artistic Director of JOYEMOVEMENT, dance company. Based in Greensboro NC, since 2014, JOYEMOVEMENT has performed regionally and toured nationally. A native of the Washington, D.C. Metro area, Alexandra received her BA from Spelman College and MFA from UNC Greensboro. Alexandra has studied under Germaine Acogny’s Jant-Bi at L’Ecole Des Sables in Senegal and performed with Christal Brown’s INSPIRIT, Bill T. Jones in development of FELA! Paloma and Patricia McGregor’s Angela’s Pulse, Sydnie L. Mosley Dances, Maxine Montilus and Van Dyke Dance Group. Alexandra is currently teaching at The Experiential School of Greensboro and at Dance Project. She is the recipient of Arts Greensboro’s 2019 Regional Arts Grant. Sarah Council founded Sarah Council Dance Projects (SCDP) in 2007 as a platform to explore her choreographic ideas. 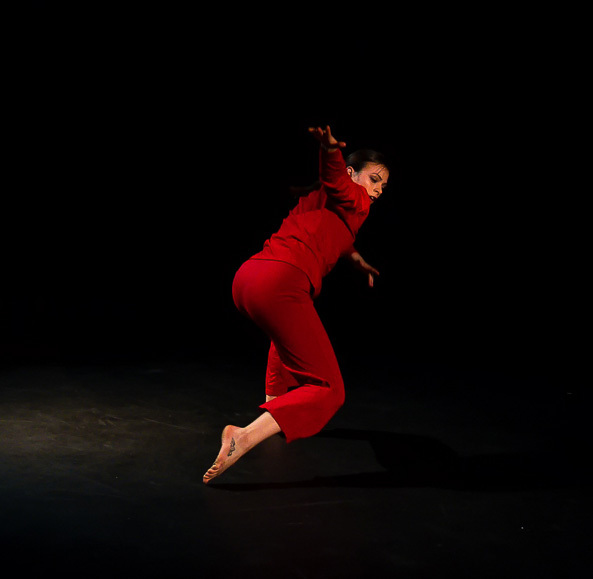 SCDP is focused on dance research, investigation, creation and performance and works to share these experiences with others through presentations, workshops, and residencies. Council’s choreography has been presented in numerous venues in NYC, as well as with communities up and down the the east coast in DC, PA, KY, FL and NC. She has received support from the Queens Council on the Arts, The Puffin Foundation and The DC Commission on the Arts and Humanities. She was awarded the 2015 North Carolina Dance Alliance/ North Carolina Dance Festival New Works Award.